as shareware in 1996. It features both a single and co-op mode, 9 levels, a fun soundtrack and three difficulty levels. This is a full port from DOS to SDL2 with some additional non-gameplay changes. 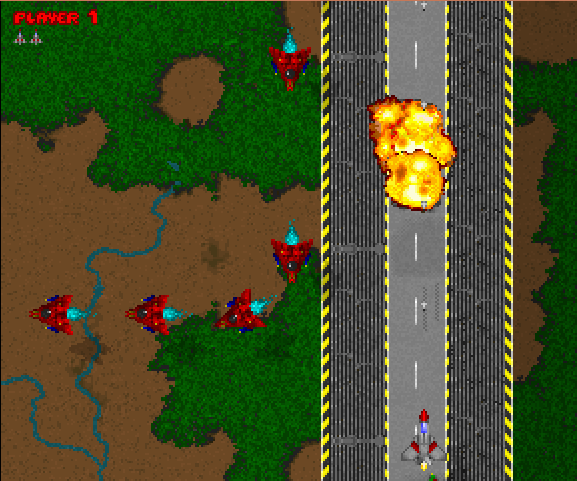 Ravage is a vertically scrolling top down shooter which was originally released as shareware in 1996. It features both a single and co-op mode, 9 levels, a fun soundtrack and three difficulty levels. This is a full port from DOS to SDL2 with some additional non-gameplay changes. Just a note that on my cc pandora the game is stable on default sgx drivers but for me it stutters and sometimes crashes on 4.04.00.03_1.6.16.4117. I am using the SDL2 lib obtained from the RickyD package. Added full screen scaling option. This is saved in a new settings file which has been renamed and reset. The old RAVAGE.INI can be safely removed from the apps folder. Small additional optimization on texture loading. 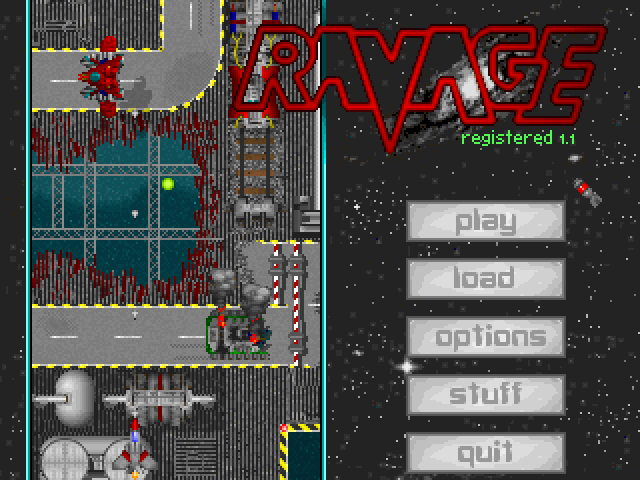 Just a hint: theres, a shareware version of Ravage [Original Version] in dosbox repo..
Great classic shooter. As good as they get. Love the audio. Mapping controls was easy. 5/5.